Chilean-born director Raul Ruiz may be cinema's most famous exile, with his most important work produced in France. 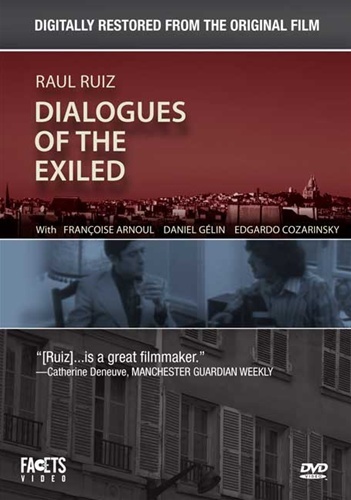 In this semi-documentary film, patterned after Bertolt Brecht's Refugee Conversations, Ruiz explores what it means to live in exile. Shot in 1974, Dialogo de Exilados chronicles the conversations of Chileans in Paris, who resolutely hang onto their cultural identity while navigating life in another country. "...harks back ideologically to his radical first feature Tres triste tigres..." (David A. Cook, History of Narrative Film). In Spanish and French with English subtitles.